Board a My Paris River boat for this one-to-one cruise and (re)discover in total privacy the most beautiful monuments of the capital. One of the most pleasant and romantic nights with a welcoming and attentive skipper. I strongly recommend this getaway to all ! Get on board for an original wedding proposal which will etch in your memory and that you will tell over and again to your grandchildren with a smile. 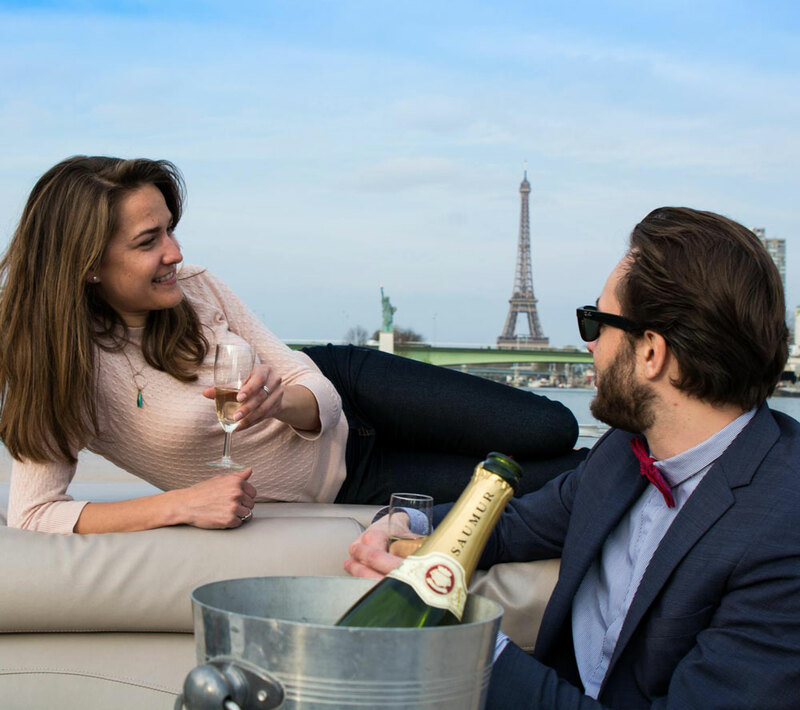 Embark with My Paris River for a private wedding cruise you’re your dearest ones and (re)discover the most beautiful monuments of the capital. Up to 12 passengers or 24 with 2 boats, celebrate your new union in private with your next of kin. Many thanks for the cruise organized for our wedding reception which was magical despite the rain.